Homesharing enables two unrelated people to share a home and their lives for their mutual benefit. Companionship and mutual support are at the heart of homesharing – not financial gain. Anyone can arrange a live-in companion for themselves, but our focus is on professionally-run homeshare programmes which skilfully ‘match’ the two people involved. Supported by a homeshare programme coordinator, a householder with a spare room offers free or low-cost accommodation to another person in exchange for an agreed level of support. help to use the computer. Homeshare provides a solution to the needs of two groups of people – those in need of affordable housing, often younger people, and those in need of some support to live independently at home, usually older people. Doreen from Greater Manchester in the UK made her mark at the Madrid congress when she spoke movingly about her homeshare experiences. Doreen had spent her life looking after other people then in her 70s found herself alone. 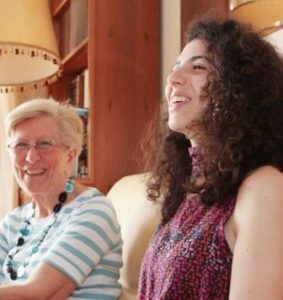 She was matched with a young French woman, Anouck, who opened Doreen’s eyes to some of the experiences she had missed out on – simple things like visits to the city centre shops, a Christmas concert, films at the local cinema. When the time came for Anouck to return to France, neither of them wanted to part from each other! But now Doreen has a new homesharer and she’s also French! 23-year-old Lucile arrived from Paris in May 2017 and has settled in well. In return for a room in Doreen’s lovely home Lucile carries out tasks such as cleaning and cooking. They often enjoy lunches out, a walk to the park or watching a film. They both enjoy sharing recipes and take turns cooking for each other, sampling new cuisines like potato hash and chicken in a French-style tomato sauce! Homesharing was originally set up to benefit older people who needed support to live independently but the concept is very flexible and can be adapted to meet local needs and circumstances. young people and key workers (such as nurses, police officers, teachers) who are priced out of the housing market. The direct benefits to older/disabled people include help with daily living, companionship and the security of having someone in the house, especially at night. Homesharing alleviates loneliness which is an acknowledged issue in many societies. There are even recorded instances of homesharers saving lives by calling emergency services. Homesharers benefit directly by saving money on rent. Their room may be completely free of charge, or they may pay a modest rental well below commercial rates. In mainland Europe homeshare programmes have mainly enabled students to live cheaply and comfortably. In the UK, Australia and other countries homesharers are mainly young professionals who cannot afford decent housing in expensive cities like London and Melbourne. Other benefits include breaking down the barriers between generations and different cultures, fostering mutual understanding and tolerance. For example, in an Australian programme, an elderly Jewish lady successfully shared her home with a Pakistani Muslim. Other people benefit indirectly from homeshare. Families of older people speak of the reassurance that their loved one has someone in the house, looking after their security and welfare. Families of young homesharers say they feel reassured that their son/daughter has decent accommodation and a surrogate parent/grandparent to take an interest in their lives. Public services benefit too. 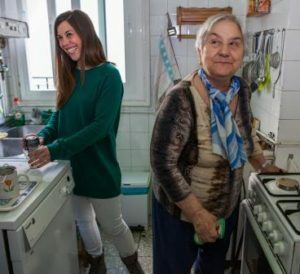 Homeshare has been known to reduce demand on the health services; it can also delay the need for costly services such as residential care for older people. Homeshare is helping to ease the housing crisis in places such as south east England where there is an acute shortage of affordable housing. Homeshare enriches the lives of everyone who takes part. For older or disabled householders, homesharing brings companionship and support to live in your own home. Younger homesharers enjoy a secure home at an affordable cost (sometime completely free). Both householders and homesharers benefit from a new relationship that may cross the generations and cultural divides. 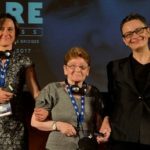 If you would like to homeshare please see the programme pages and find the country and area you live in (or wish to move to). Please note you may find there is no programme in your area. Sorry but Homeshare International cannot help you to find a homesharer.